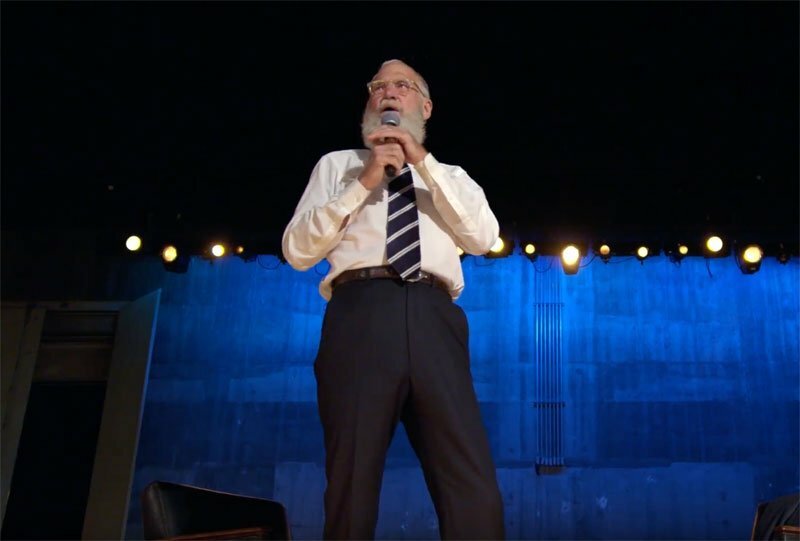 Low and behold, Letterman managed to ensnare Obama for an interview in what appears to be a community theater hall that might be the minor venue for a local talent show or bake-sale fundraiser. Best of all, the audience is completely oblivious as to who the guest will be which piques and counterbalances the show’s lean production (two black leather chairs against the backdrop of curtain pulleys). Strangely, it is quite apropos for Obama to be David’s contemporary since, as Dave winks, they both “left long-term jobs.” Letterman’s line of questions are more about demystifying the cloak-and-dagger secrecy of the White House and how one re-acclimates back to being an American citizen rather than the Alpha and Omega of our government. Obama is cordial and immensely aboveboard as always about the transition to civilian life but what makes the confab so arresting is how he flips the dynamic and asks Letterman about his journeys after his CBS exile (pilgrimages to Japan and Newfoundland). Even better is how Letterman jokingly retreats from Obama’s curiosity back to his inquisition. Along with the lighthearted banter (ex. Obama quips about Letterman’s staff along with his “biblical beard”), Obama candidly addresses the economic crisis and two wars he had to juggle when entering the Oval Office. Since they’re tackling provocative issues about social media news feeds, the au courant political climate and Obama’s childhood in Indonesia, the conversation is scintillating. Much like Letterman’s daily show, the most captivating episodes will hinge on the most captivating of guests in the long run and with Obama, the biplay is uncommonly strong. This entry was posted in Reviews, TV and tagged barack obama, david letterman. Bookmark the permalink.